The soaring success of the film Bohemian Rhapsody, the highest grossing music biopic of all time, has proven that the love for Queen remains as strong as ever. 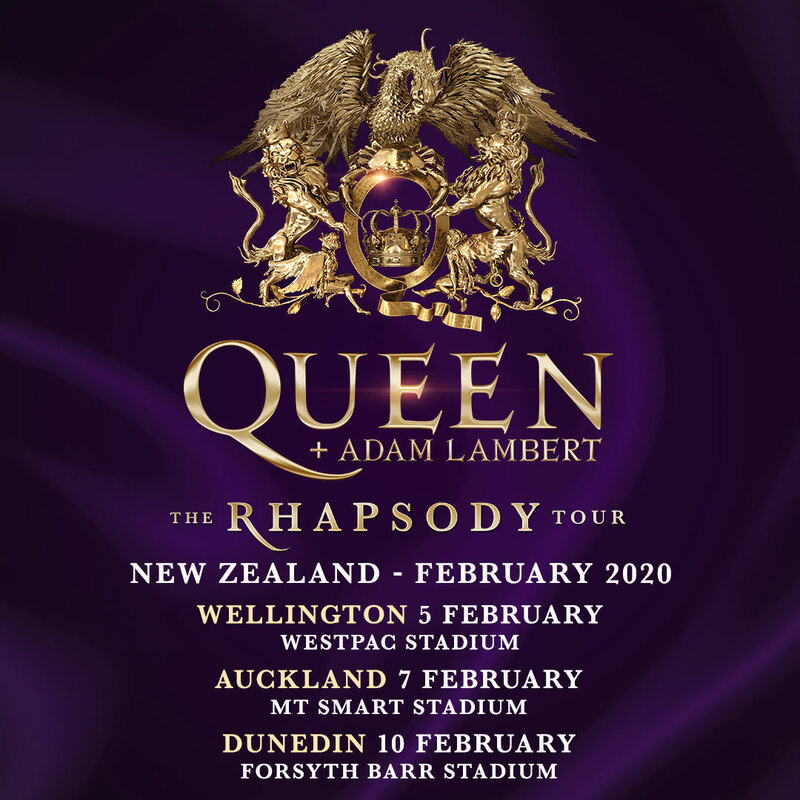 Lifelong New Zealand fans and new converts will be thrilled with the news that Queen original band members Brian May and Roger Taylor are teaming up once more with long-time front-man Adam Lambert on lead vocals and returning to New Zealand in February 2020 for 3 giant stadium shows with a brand-new, spectacular production. 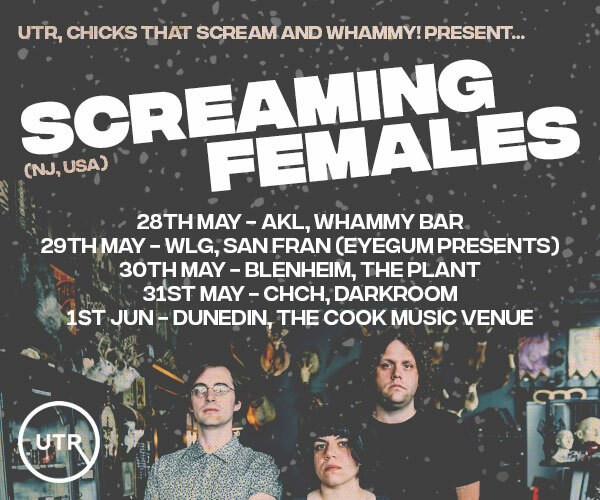 Tickets go on sale from www.ticketek.co.nz and www.ticketmaster.co.nz on Wednesday 17 April with tickets on sale from 10am NZST. With Brian May adding: “This is a great opportunity. Our last tour featured our most ambitious production ever and got us our best notices ever. So we decided to rip it apart and get even more ambitious! Watch out, New Zealand! Since Adam Lambert first shared the stage with Queen for the 2009 American Idol final, his dynamic performances have reinvigorated the band and delighted fans worldwide. Their first full show thrilled a half-a-million-strong crowd in the Ukraine capital city of Kiev in June 2012. Since then May and Taylor’s musical fireworks have been matched by Lambert’s vocal prowess and stage presence, making for an explosive combination. Over 180 gigs later, the partnership has proven a commercial and critical triumph, playing to enraptured full houses in every corner of the world. Then along came 20th Century Fox’s Bohemian Rhapsody. The movie has topped the cinema box office in more than 35 countries around the world since its late October release, drawing worldwide box office receipts approaching $900 million. The excitement the film inspired also saw Queen propelled back on to the music charts, where they hit No. 1 on Billboard’s Artist 100 Chart, reminding fans why they loved them and dazzling the previously-uninitiated. ‘Bohemian Rhapsody’ is officially the world’s most-streamed song from the 20th Century, and in NZ, the band scored its highest-charting album in 24 years with the Platinum-selling Bohemian Rhapsody soundtrack. When Freddie sang The Show Must Go On all those years back, even he couldn’t have guessed that Queen music would still be thrilling audiences. Next summer, the stadium stages of New Zealand will be well and truly rocked again. 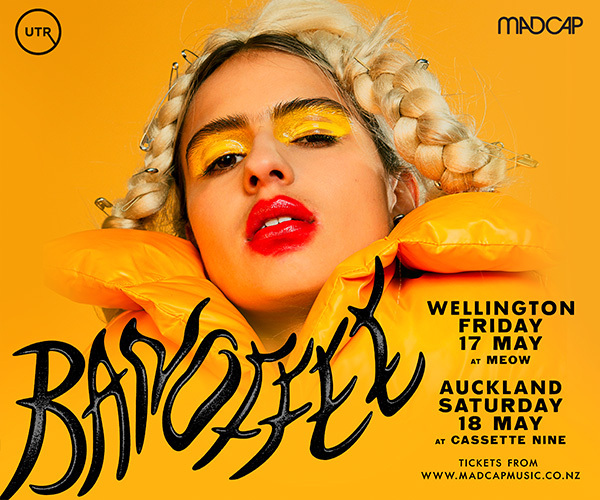 Tickets for the RHAPSODY tour go on sale on Wednesday 17 April from 10am NZST.